Even Mice take a bath every once in a while. Just have a look at this Big Sister Mouse from Maileg. 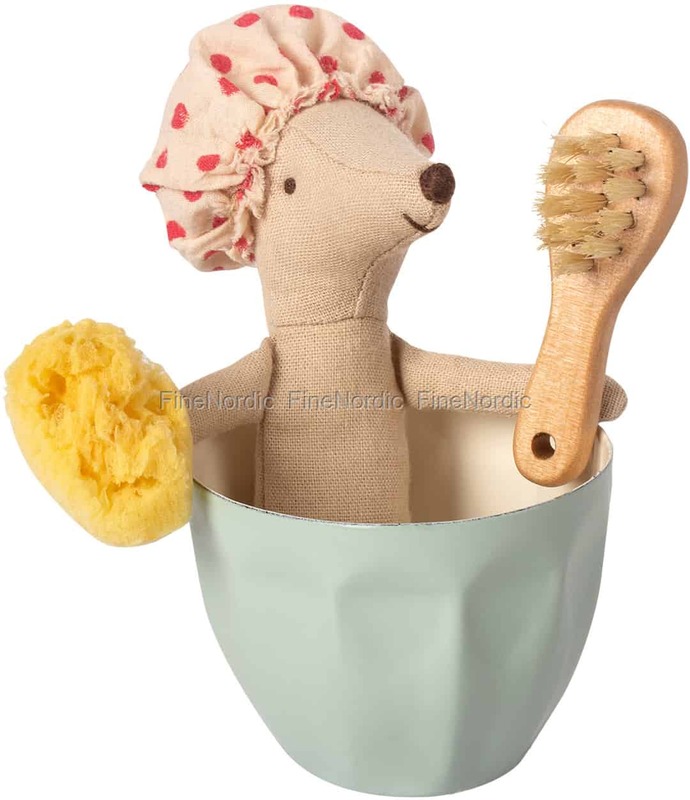 She gets squeaky clean with her luffa and scrub brush and her ears stay dry thanks to her polka-dotted shower cap. She is a clever little mouse by using a cute painted metal cup for her tub. Judging by that happy smile on her face, she must really be enjoying her Spa & Wellness day.